Let't explore bali & beyond with us "goadventurebali" for get unforgetable moment during your bali holiday's. Celuk and batuan Village for art ,painting by local artist ,wood carving, bali wood mask,silver market ,Balinese souvenirs & gift ,polo Ralf Laurent and kinds of craft and sukawati traditional market. Kuta area for visit duty free mall bali galleria ,kuta street shopping center ,seminyal street for branded and fashion clothes,bags,shoes & many more branded fashion. 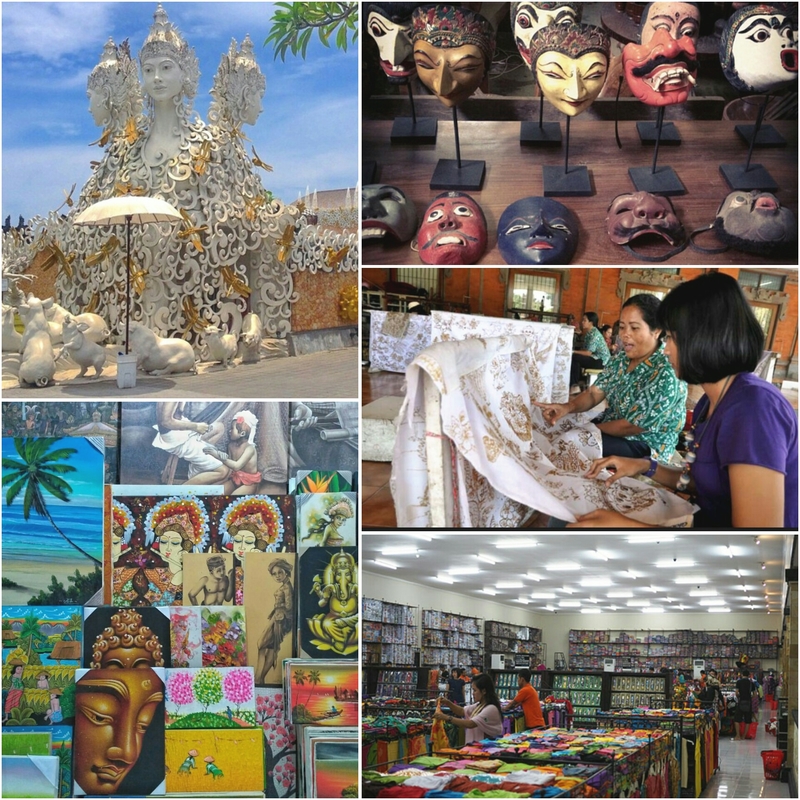 Jimbaran area for visit bali souvenirs shops,bali collection shopping mall.